A week ago, I wrote about the trench coat - a basic spring essential. 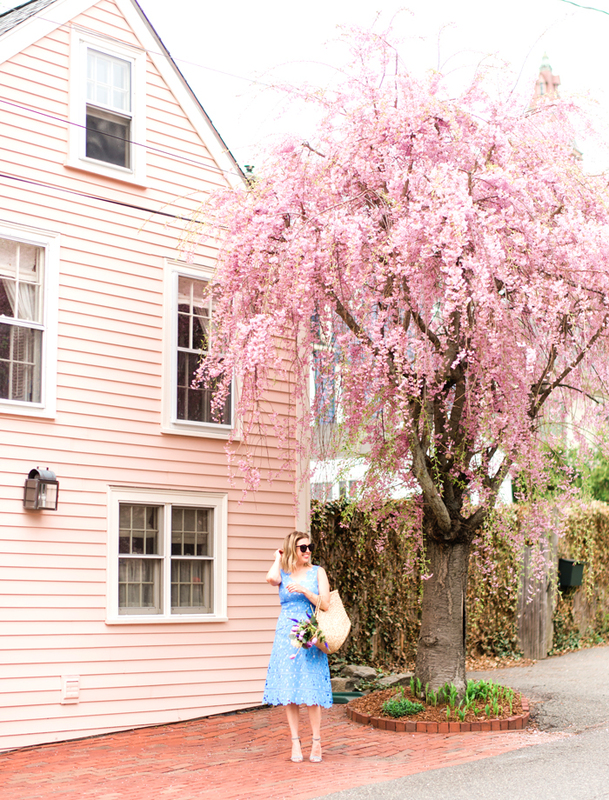 Today, let's talk about another spring necessity: the scarf. I've been wearing scarves a lot (see here, here) as a way to add both warmth and color to my outfits. I'm loving vivid colors and adventurous prints on my spring neckwear - I'll be wearing them this season using all the techniques in this classic video by Wendy's Lookbook. And! I'll be keeping them organized with this crazy-easy-do-it-yourself scarf storage technique from my friend Melissa. This DIY is so easy, even I could do it (and I'm...not crafty). Do you have a favorite way to tie and/or store your scarves? Love your look and this scarf looks really pretty and colorful. Thanks for sharing this scraf organising technique - I have to try it for my scarves! Isn't it a great idea? I am so glad Melissa posted it. 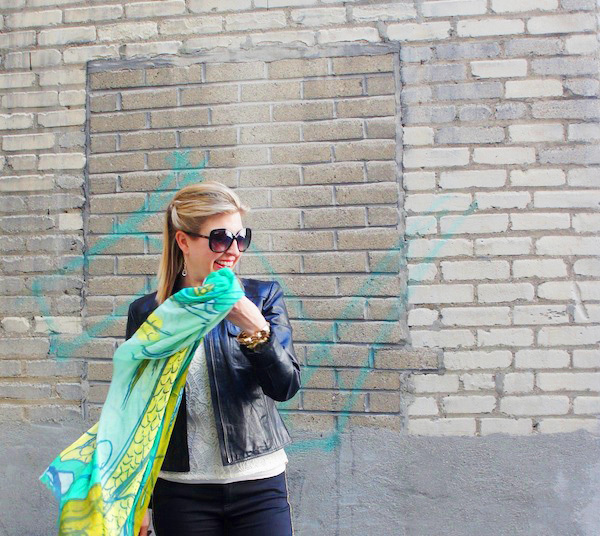 I love brightening up an outfit with a fun scarf! From one scarf addict to another... thanks for the love! I'm happy to say my scarf monster has not returned. Your hair looks really pretty in your photos! 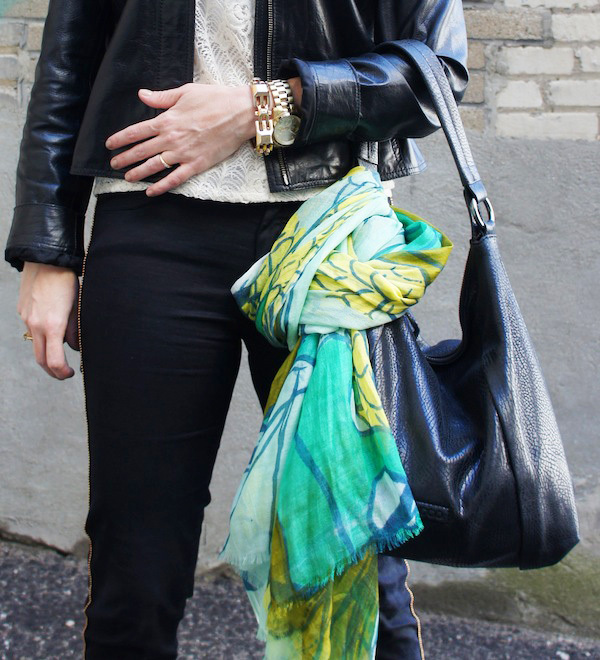 And I love the black leather jacket with the bright scarf. Love the colors of your scarf. Yes, scarves are one of my favorite spring accessories!